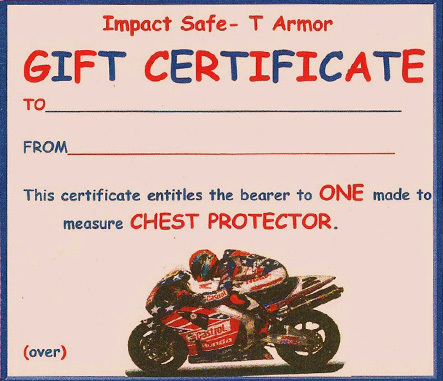 Gifts for any Ocassion: IMPACT SAFE-T ARMOR Gift Certificates!! Keep your rider safe and comfortable. Gift certificates ship immediately so call to order yours today: (916) 725-2936. 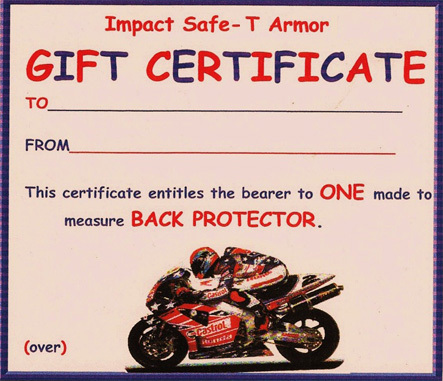 Impact Safe-T Armor debuted on the scene in MotoGP with the arrival of Colin Edwards and Nicky Hayden in 2003.